We specialize in facilitating the buying and selling process for Houston residents and can deliver the most effective support for these real estate transactions. Finding the right opportunities for purchasing apartment homes, condominiums, lofts and, townhomes in Houston can be challenging. The commercial real estate market is primarily focused on renting and leasing, but buying opportunities can be found in select areas of the city. Many of these properties provide exterior maintenance, freeing homeowners from the burdens of lawn care and exterior maintenance. These can be key considerations in the variable Houston climate. At CitiHomes Realty, we work with you to establish the most important features of your new home and to narrow down your search to those properties most likely to work for you. This targeted approach to home buying allows us to streamline the process and saves you time in finding your new home. The highly trained and professional agents at CitiHomes Realty can help you manage the sale of your townhome, condominium, loft, or apartment from start to finish. We will evaluate your home’s condition and establish the value of comparable properties in the Houston marketplace. The location of your home will also play a factor in its overall value and will allow us to work with you in setting reasonable and realistic asking and selling prices. We can help you stage your home to highlight its best features and maximize its appeal for potential buyers. CitiHomes Realty will market your home to target the most motivated and qualified buyers. By showcasing your home’s unique attributes, our team can attract the right attention for your home and help you sell it more quickly and for the price you desire. Our years of experience in the Houston residential and commercial real estate market ensures that the CitiHomes Realty team can provide you with the most advanced services in buying and selling your home. Whether you are selling a downtown condominium property or looking for a home close to the heart of the city, our professional staff can help you achieve your goals more quickly. We also offer apartment locating and property management services for clients in the Houston area. The practical support offered by CitiHomes Realty can promote the interests of buyers and sellers in the Houston property marketplace. 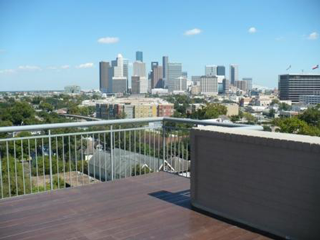 Our comprehensive array of Houston property management, commercial and residential real estate, and apartment location services are designed to meet your needs when buying or selling property in this fast-pace, diverse city environment. Attracting and retaining quality clients is the key to success in the commercial real estate marketplace. At CitiHomes Realty, our Houston property management team specializes in providing prompt and reliable services for your residents and allowing you to enjoy the benefits of increased tenant satisfaction and improved reputation in the highly competitive Houston real estate marketplace.